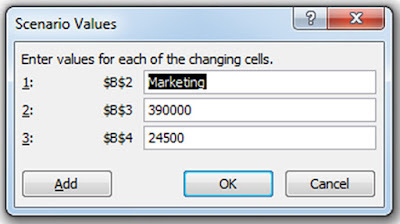 A Scenario can have multiple variables, but it can only accommodate up to 32 values. 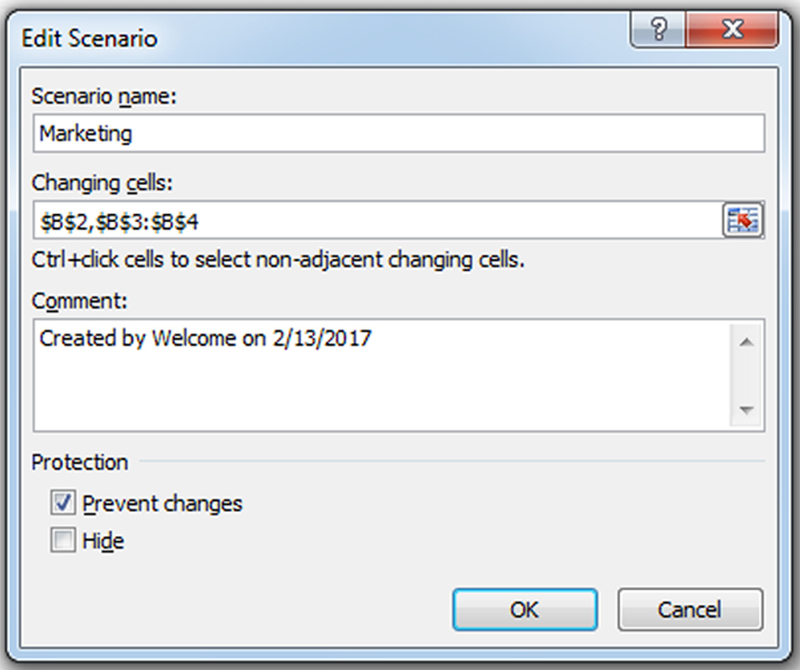 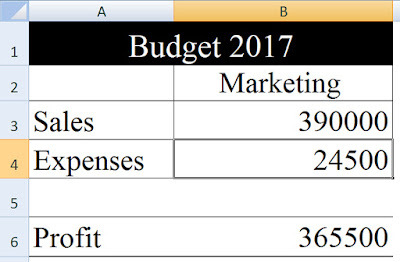 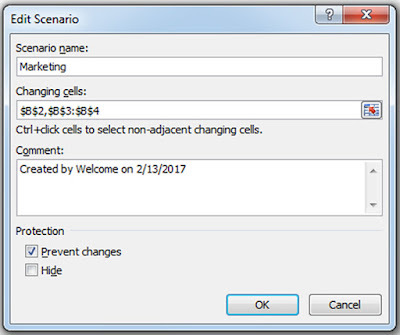 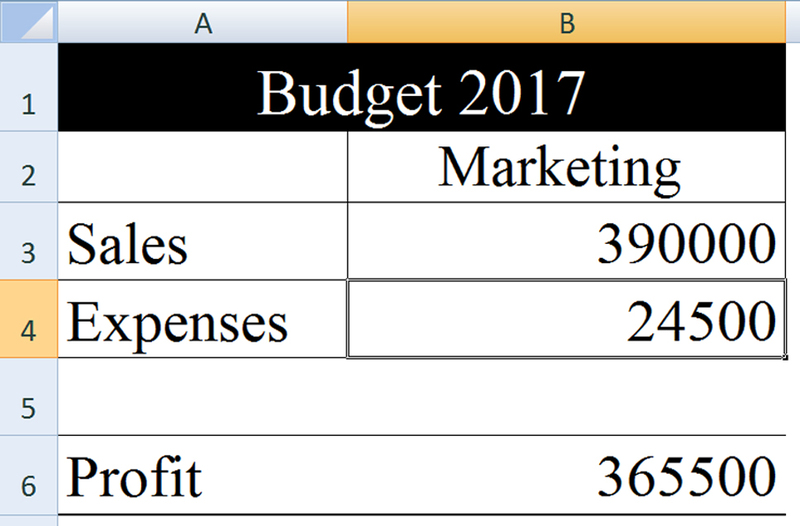 Click on Add Button and type Scenario Name "Marketing" (Ctrl + Click cells to select non-adjacent changing cells). 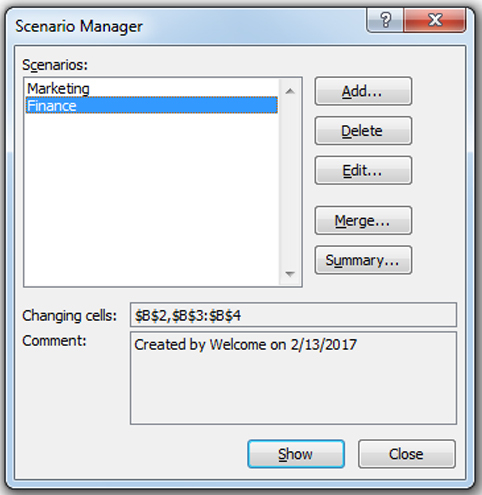 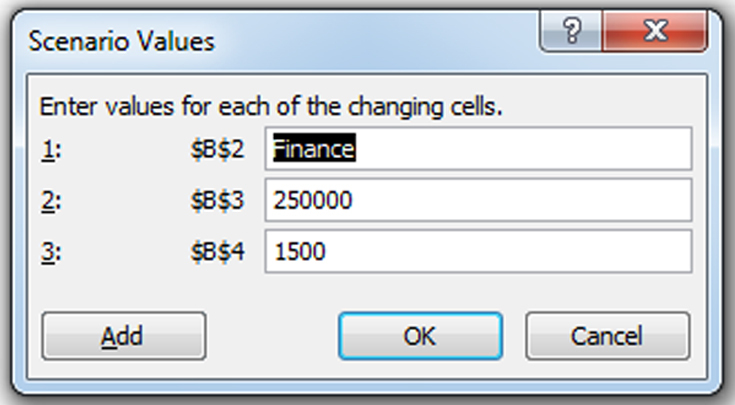 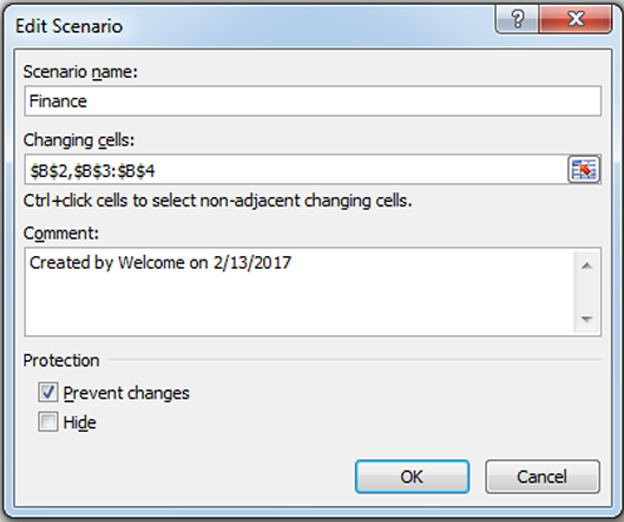 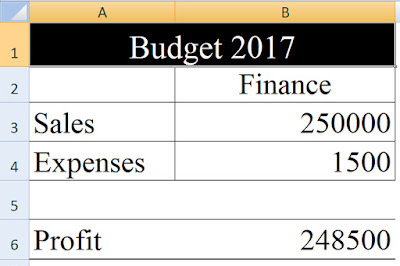 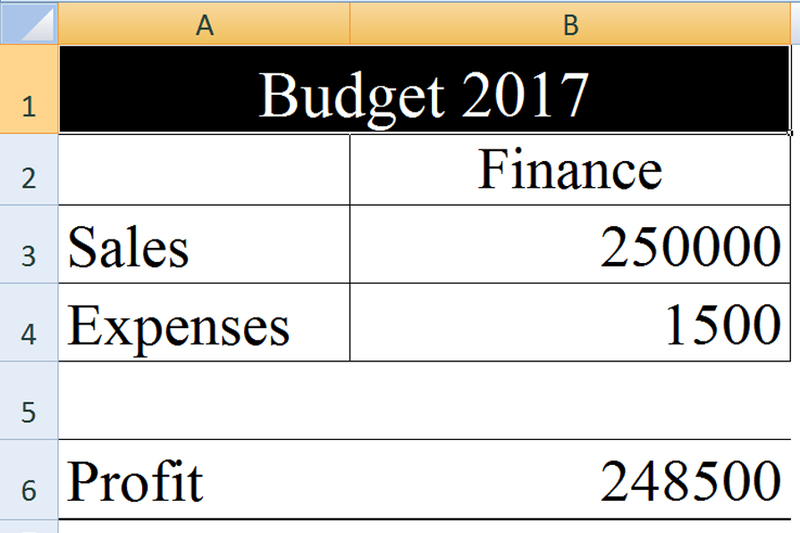 Click on Add Button and type Scenario Name "Finance"(Ctrl + Click cells to select non-adjacent changing cells). 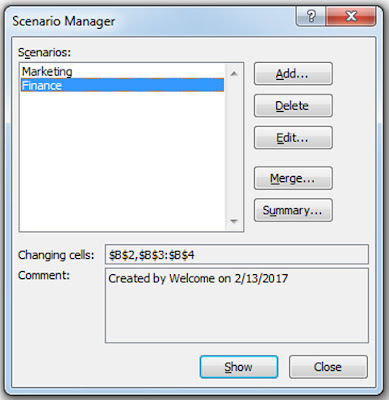 Click on show "Marketing" or "Finance".